Aoife McGuire completed her under-graduate degree in Trinity College, Dublin and during this time was instrumental in the establishment of two societies . In 2009, Aoife successfully completed the European Clinical Specialism in Fluency Disorders and in 2012, Aoife was awarded first class honours in the PG Diploma in Clinical Therapies, University of Limerick. Aoife is a long-standing member of IASLT and was elected to IASLT council in 2009 and served until 2012. During this time, Aoife led and won IASLT’s bid to host IALP’s 30th World Congress in Dublin. Through-out her career, Aoife has both led and been involved in the management of workshops and symposia including the annual national IASLT student conference. Aoife has worked as a speech and language therapist in community services and in primary care at both basic and senior level working mainly with children presenting with primary stammering, speech and language delay/impairment. Aoife led the development of stammering services in the Mid-West region across both paediatric and adult services. Aoife has worked in practice education since 2005 and became Practice Tutor for M.Sc., Speech and Language Therapy in 2008. Aoife has been working as a Regional Placement Facilitator since May, 2014. Special interests include: practice education, adult learning, reflective practice and stuttering. Dr Irene Walsh is Associate Professor at the Department of Clinical Speech & Language Studies at Trinity College Dublin, since 1993, having worked previously as a Senior Speech & Language Therapist in Child and Adolescent Mental Health Services for over 10 years. Dr Walsh’s research interests include (i) (clinical) discourse analysis and mental health disorders, (ii) identity and social interaction in allied healthcare professional education and (iii) communication profiles of children with Attention Deficit Hyperactivity Disorder. She is a member of IASLT and ASHA, and was co-editor of the Journal of Clinical & Speech Studies for over 15 years. Rena took up her post as Senior Lecturer in NUI Galway in 2003 to establish a new BSc degree programme in speech and language therapy. Prior to her post in the university, she worked as a speech and language therapy manager, where she was responsible for the management of community speech and language therapy services in Co. Galway. She lectures across a number of modules on topics such as developmental language disorders, voice disorders, evidence-based practice, principles of intervention, qualitative research. Her research interests are in the areas of listening to the experiences and perspectives of people with communication impairments, models of service delivery, primary speech, language and communication needs, and evidence-based practice. She has experience using both quantitative and qualitative methodologies and has a particular interest in narrative inquiry. Her MSc thesis was on measuring the effectiveness of group therapy in the management of adults with muscle tension dysphonia. She has just completed her PhD in the University of West England, Bristol, under the supervision of Prof. Sue Roulstone and Mat Jones. Her thesis was on exploring identity and meaning-making in children with primary speech and language impairments. Rosalind Rogers is a Fellow of the Royal College of Speech and Language Therapists. She has led her profession through holding a range of leadership roles, the most notable being Chair of the Royal College of Speech and Language Therapists’ Council. She is a Speech and Language Therapy Partner for the UK Regulator, the Health and Care Professions Council, the body which upholds standards in order to protect the public. 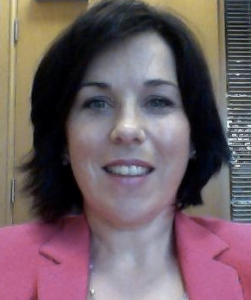 She sits on the Northern Ireland Board of The Stroke Association, where her concern is to ensure that communication needs of people with stroke are fully articulated and understand. She has finished twelve years in academic management at the University of Ulster, most recently as head of the Allied Health Professions’ School. She now focuses mainly on developing and delivering postgraduate education for health professions in service improvement, within an interdisciplinary context. She was Chair of the Royal College of Speech and Language Therapists’ Organising Committee for its 2006 Conference, ‘Realising the Vision’, held for the first time in Northern Ireland. 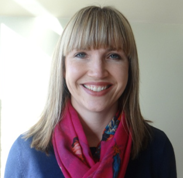 Dr Ciara O’Toole is a Lecturer in Speech and Language Therapy in the Department of Speech and Hearing Sciences, UCC. Her teaching and research interests are in the area of paediatric communication development and disorders. She has particular interest in bilingual language acquisition and children who are acquiring Irish as a first/second language. Dr. O’Toole is a member of the IASLT and was a council member from 2006-2011. On council, Ciara served as the Student Liaison Officer, setting up the first student committee and annual student conferences from 2007 to 2010. In 2010, Ciara co-represented IASLT in the successful bid for the IALP conference in 2016. Ciara is an editor of the Journal of Clinical Speech and Language Studies and Child Language Teaching and Therapy. Ciara is also a reviewer for the Journal of Child Language, International Journal of Language and Communication Disorders and Journal of Speech, Language and Hearing Research, among others. Clare is a lecturer with the Speech and Language therapy team at NUI Galway since 2005. Previous to this position she worked as a Speech and Language Therapist: within the Longford /Westmeath, HSE Mid Leinster area from 1996 – 2005. Clare obtained her BSc in Speech and Language Pathology from the University of Strathclyde, Jordanhill Campus, Glasgow. Postgraduate courses include an Extra Mural Certificate in Foundation Counselling Skills from NUI Maynooth and a Masters degree in Advanced Practice in Speech and Language Therapy at the University of Ulster. Her research project focused on the expectations and perceptions of clients with an intellectual disability of their speech and language therapy service. Postgraduate modules completed in Advanced techniques in health research; Evidence based healthcare to improve practice; Advanced counselling theory and practice; Clinical supervision, teaching and fieldwork. She is currently reading for a doctorate degree at NUI Galway focusing on developing a best practice model for early intervention disability services in Ireland. Her research interests include early intervention disability services, participation of children with disabilities, disabilities, integrated care and team working. Associate Professor in Speech & Language Pathology and Director of Teaching & Learning (Undergraduate). Professor Fiona Gibbon is a speech and language therapist and is Head of Speech and Hearing Sciences at University College Cork, Ireland. Her research focuses on new developments in instrumentation to improve diagnosis and treatments for children with speech disorders, especially those with motor disorders, phonological impairment, cleft palate and autism. She has published over seventy papers in professional/scientific journals and book chapters, and has been awarded numerous research council and charity funded grants. This research was awarded the Queen’s Anniversary Prize for excellence in 2002. She is a Fellow of the Royal College of Speech and Language Therapists and Associate Editor (Speech) of the Journal of Speech, Language, and Hearing Research. Dr Orla Duffy is Academic Coordinator and Placement Coordinator in the Speech and Language Therapy course at the University of Ulster. Orla is also associate member of the Research Institute of Nursing and Health Research at the University. She is a successful researcher in the area of occupational vocal health, having secured funding to investigate in this area and develop health technologies. 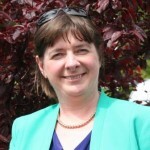 The setup of the Northern Ireland Research Special Interest group was led by Orla and she chaired the first year in 2010. Orla is also collaborating with colleagues in computing, to develop innovative technology for facial measurement. Her specialist teaching areas are in vocal health, anatomy and physiology, research, clinical education and employability. Orla is also working to develop postgraduate teaching courses on an on-going basis at the University. She was on the Royal College of Speech and Language Therapists’ Organising Committee for its 2006 Conference, ‘Realising the Vision’, held at the University of Ulster. 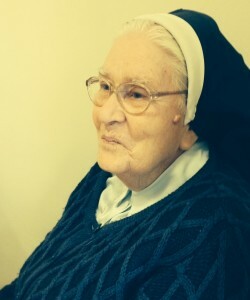 Dr Sr Marie de Montfort Supple Dr Marie de Montfort qualified as a Speech and Language Therapist in the UK in 1959 and then returned to Ireland to set up services in hospitals and clinics for children and adults with speech, language and communication needs. In 1969, she set up the first education programme for SLTs in the Dublin College of Speech and Language Therapy, in association with the UK professional body- the Royal College of Speech and Language Therapists (RCSLT). In 1979, Dr de Montfort negotiated the transfer of the course to Trinity College Dublin and led the course to degree status (B. Sc. Clinical Speech & Language Studies). In 1994, she stood down as Head of the Department of Clinical Speech and Language Studies and became Vice Dean of the Faculty of Health Sciences. Dr de Montfort retired in 1998 and for a few years was still involved in clinical teaching and work with students with dyslexia. Dr de Montfort has received many awards and fellowships including: a WHO Fellowship in 1965; an RCSLT Fellowship in 1986, an ASHA Fellowship in 1994. Additionally, Dr de Montfort received the honours of IASLT in 1992, of RCSLT in 1994 and then of IALP in 2001. Dr de Montfort first became a member of IALP in 1965 and in 1983, she chaired the IALP Congress in Edinburgh Scotland. In 1986, she became secretary of the Board of IALP and President from 1992 to 1995.